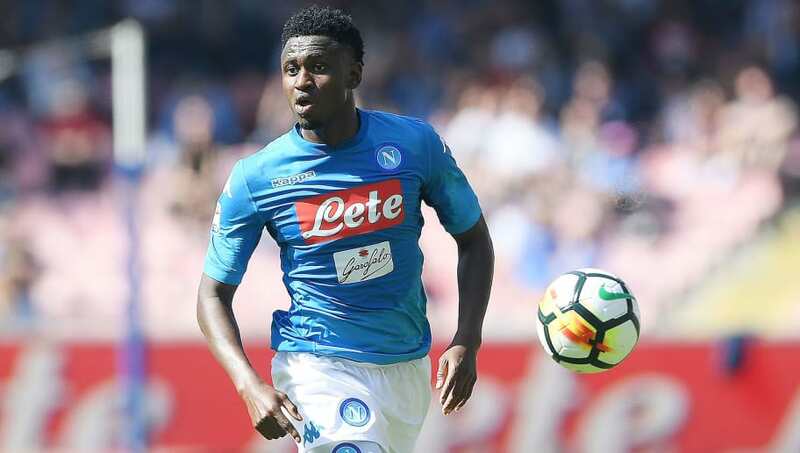 West Ham are reportedly interested in making a move for Napoli midfielder Amadou Diawara, with a departure from the London Stadium looking likely for Pedro Obiang. Obiang has made 14 Premier League appearances for the Hammers this season, but has lost his place as a first-team regular to the emerging Declan Rice. As a result, he looks set to leave the club to join Fiorentina - with Diawara emerging as a potential target to replace him in east London. T​uttoMercatoWeb report that the ​Premier League side are keen on striking a January deal for Diawara, though they do face competition from Fiorentina for his signature - despite the fact that Obiang seems to be closing in on a move there. However, the same report claims ​Napoli manager Carlo Ancelotti has vetoed the potential sale of his central midfielder in this transfer window. The Italian is thought to be keen on maintaining a strong depth to his squad, despite Gli Azzurri's Serie A title hopes appearing to be hanging on by a thread. ​Sky Sports, meanwhile, claim that Fiorentina have made a £10m offer for Obiang and are awaiting ​West Ham's response. The 26-year-old could be keen on a move as he no stranger to playing in Italy, having begun his senior career at Sampdoria. He spent five years at I Blucerchiati, playing in both Serie A and Serie B en route to making 139 appearances. Obiang then joined West Ham in the summer of 2015 and has played for the Hammers 105 times since then, with 81 of those appearances coming in the Premier League. An exit is looking more and more likely for Obiang given recent reports - but Manuel Pellegrini is unlikely to sanction a deal unless a move for Diawara, or another defensive minded central midfielder, is completed.